Strataridakis winery The visitors can watch all the winemaking stages and experience the creative “celebration” that takes place from the collection of the grapes to the wine bottling. Costis and Manolis Strataridakis, both agriculturists, have taken the baton and continue with ardency their father's work hopefully going one step further. 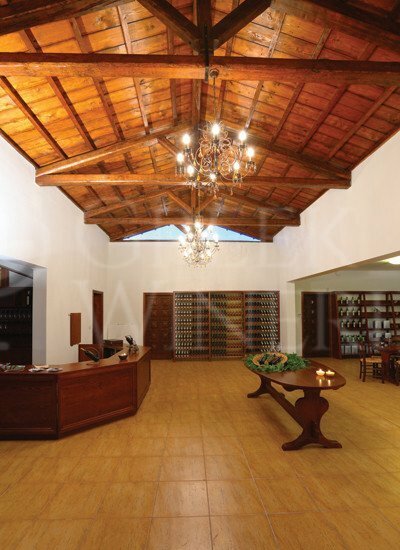 The new-built winery of Strataridakis brothers represents, through its characteristic architecture, the basic philosophy of the owners: the harmonization of the tradition with the technological advancement. They approach their work with experience, a sensitive feeling for the wine and a deeply rooted sense of the family tradition. The vines are cultivated with the traditional system «Guyot» and heavily pruned to create medium and small bunches that yield healthy fruit with full aromas and concentrated flavors. Applicable to a specific plan of replanting vines with a rate of about four acres every two years. The harvest is entirely made by hand. The selected bunches one by one are placed in small baskets and immediately driven to the winery for processing, thus maintaining their integrity and their form; a critical factor in creating high quality wines. Nature can be cultivated but not easily tamed, Costis claims, that’s why they work in a spirit of respect to the natural environment, having a sense of their heritage but also the responsibility to deliver a rich and fertile land to future generations. 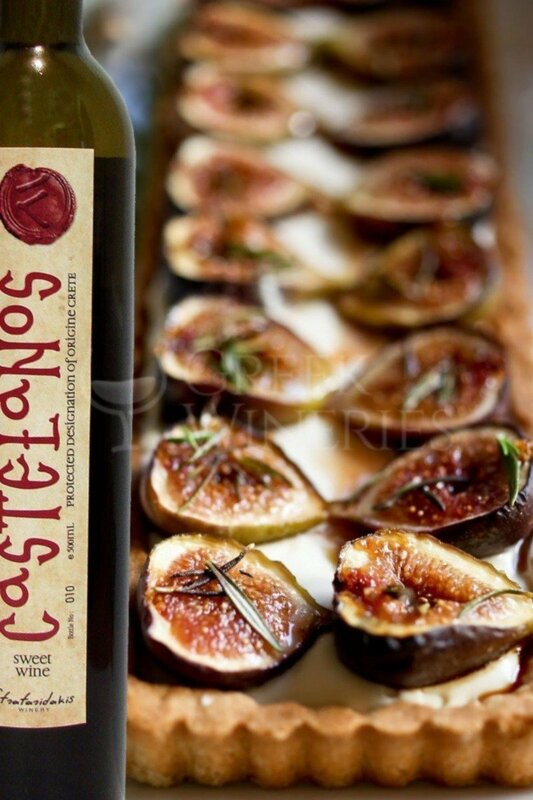 Their goal is to produce high quality wines with authentic character. The worth of the grapes depends not only on their particular variety, their quality and the place in which they grow, but also on the cultivation of the vineyards. Limiting the yield of the harvest and practicing environmentally-friendly agriculture are key points. They focus not only on varietal vinification but mostly on combinations of local and international varieties trying to capture the characteristics of the region to each bottle, Manolis says; in other words they want to offer distinct wines, not just varietal ones. 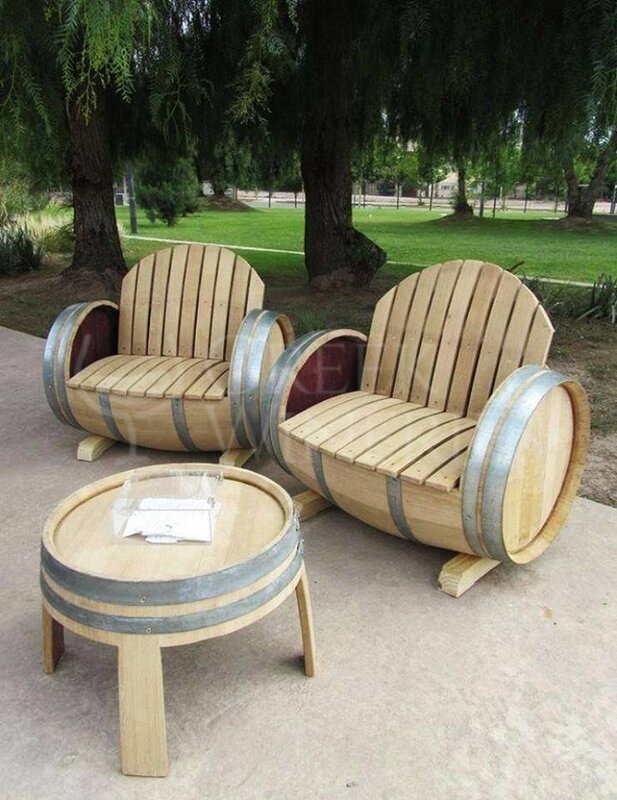 The creation of extraordinary wine demands serious attention to the best possible exploitation of the merits and characteristics of any given place. The uniqueness of the specific region, the topography, the soil composition, the microclimatic conditions, the selection of suitable varieties are enormous challenges. 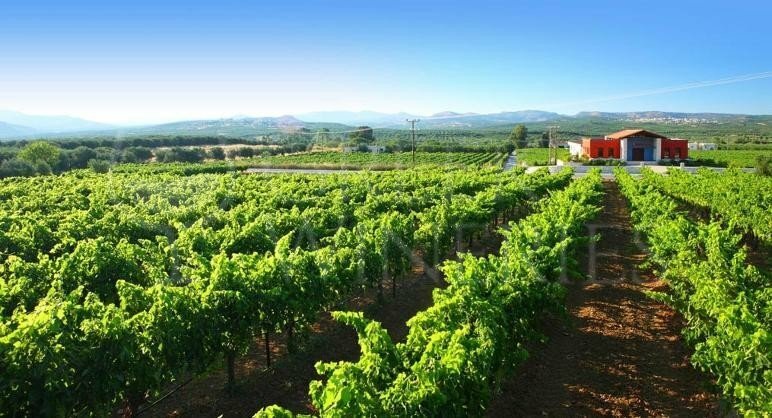 The vineyards in the region are not monoculture; they are surrounded by olive, peanut, various fruit and natural vegetation and involved in a rich and balanced ecosystem. Asteroussia mountain that filters gently the breeze of Libyan sea, Castelos hill at east and Anapodaris stream at the northern part of the estate, the enviable soil fertility and the origins of the estate once belonged to Sinai monastery, all these makes the place a “blessed” place. 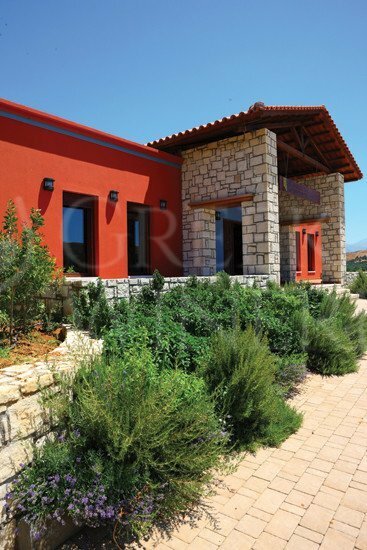 The newly built Strataridakis winery marks, with its characteristic architecture, the basic philosophy of its owners, which is the harmonious combination of the traditional with the modern. 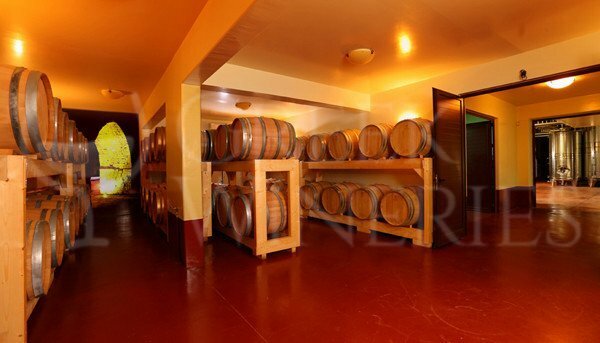 Visible at all levels, the winery gives the guest the opportunity to get in touch with all the winemaking stages and listen to the creative feast that takes place from the vineyard to the bottle.